Guyyyys, I think I may have found my newest guilt-free sweets obsession — Stonyfield Frozen Yogurt Pearls. Scoops of yummy Stonyfield organic nonfat frozen yogurt is covered in all natural fruit coatings. The pearls are about the size of one of those huge black grapes (maybe a tad larger) and each package holds two pearls, which is the size of one serving. These portion-controlled, melt-free and delicious sweet treats are only about 20-30 calories each and require no spoon or cup. They are perfect for on-the-go snacking. These frozen yogurt pearls are made with the patent pending WikiPearl®technology, which creates a protective skin from natural food particles. The skin protects the yogurt from the outside, enabling it to be washed, carried and handled without being damaged. Stonyfield is proud to be collaborating with the inventors of this technology, Harvard professor Dr. David Edwards and his Cambridge-based company WikiFoods. 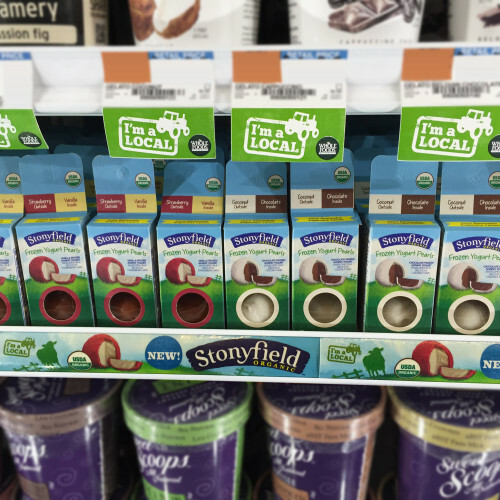 Stonyfield Frozen Yogurt Pearls are the first of its kind and I am so excited and grateful to be one of the first who got to try it! And how cool is this!? WikiPearl and Stonyfield have been called one of TIME Magazine’s Top 25 Inventions of 2014. Stonyfield Frozen Yogurt Pearls come in four flavors — Peach & Vanilla, Coconut & Chocolate, Strawberry & Vanilla and Strawberry & Chocolate. Can you guess my favorite? 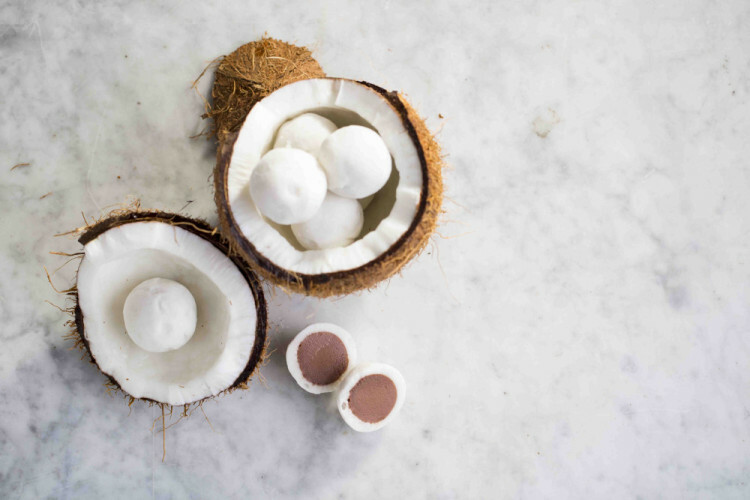 Coconut & Chocolate, of course! I absolutely love that flavor combination. If you do happen to live in the New England area and want to try out these little pearls of deliciousness, I’ve got a coupon for ya! Download and print this coupon and bring it to your local participating Whole Foods and get 2 packs for only $6 — that’s a 25% savings. I seriously want to try these! They look so cool. Can’t wait for them to come to Florida! Me too, Terri!! I’m in love!